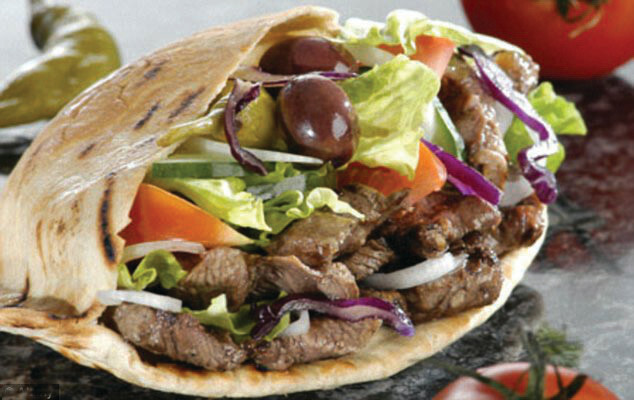 Home BREAKING NEWS Are Kebabs The Next Hamburgers? 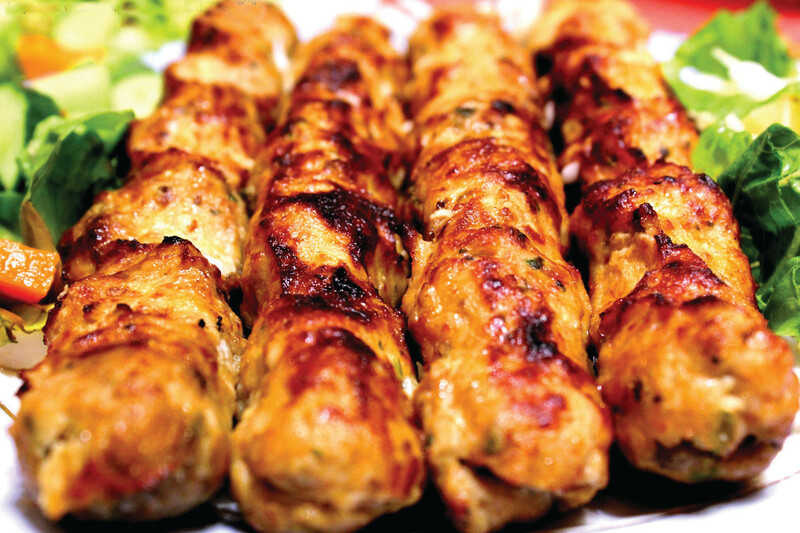 Are Kebabs The Next Hamburgers? “King of Curry Cooks”, Ranji Smile’s story is one of several surprising anecdotes included in “Eight Flavors: The Untold Story of American Cuisine,” the first book from culinary historian Sarah Lohman. The book, which came out last week, traces the development of American food culture through eight flavors that have remained enduringly popular across multiple generations. The collected flavors are eclectic – they’re vanilla, Sriracha, black pepper, curry powder, chili powder, MSG, garlic and soy sauce, in no particular order – but that effect is intentional. In her first book, culinary historian Sarah Lohman describes American food as a quintessentially immigrant cuisine, shaped by all the same factors that have impacted immigrants: war, commerce, racism, and immigration policy. Ranji Smile –the self-proclaimed “King of Curry Cooks” and a press fixture at the turn of the 20th century – may have been America’s first celebrity chef when he landed in Manhattan via London and Karachi. Smile cooked at some of New York’s best hotels; he gave classes to housewives around the country and interviews to the likes of Harper’s Bazaar. Then he died abroad and in obscurity, historians believe – unable to attain citizenship and facing prejudice after the first World War. Smile’s story is one of several surprising anecdotes included in “Eight Flavors: The Untold Story of American Cuisine,” the first book from culinary historian Sarah Lohman. The book, which came out this week, traces the development of American food culture through eight flavors that have remained enduringly popular across multiple generations. The collected flavors are eclectic – they’re vanilla, Sriracha, black pepper, curry powder, chili powder, MSG, garlic and soy sauce, in no particular order – but that effect is intentional. One of Lohman’s primary theses about American food is that it’s a quintessentially immigrant cuisine. As such, it was shaped by all the same factors that have impacted immigrants: war, commerce, racism, and even, as in Smile’s case, immigration policy. The Post reached out to Lohman to chat more about American food and some of the more surprising forces that have shaped it. This transcript has been lightly edited. Q: First things first: As you know better than just about anyone, American food and flavors are so diverse. How did you manage to get those eight essential flavors from the thousands (millions??) of options? It’s funny that you say thousands or millions, because there are actually surprisingly few flavors, when you get down to it. Even if we look at world cuisine, we might get into the thousands – but there’s a limited number of chemicals on the planet, and we’re essentially reusing those chemicals in different combinations. I don’t even think I got into the hundreds. To pick those essential flavors, I looked for things that were recurring – to start, I pulled cookbooks from different time periods and started flipping through the recipes. I have a big collection of both reproduction cookbooks and original cookbooks that date all the way from the 1800s to the present day. I just started writing down the ingredients from different eras that I saw listed more than once. Some just sort of fell into place: When you look at the ingredients common to these different time periods, something like vanilla stands out — it’s obviously important, it has become one of the most popular flavors in American history. But I also looked at these flavors and saw how they represented different immigrant communities. I knew I wanted to do curry, for instance, because I had encountered it in cookbooks from the early 19th century, and because South Asian Americans are like third largest ethnic group in the country now. The stories of these flavors, as you know, are deeply tied into the stories of different Americans. That was actually the most striking part of the book for me – the extent to which the history of American food is actually the history of immigration, even down to specific policies. Q: You make this fascinating observation in the soy sauce chapter, for instance, about how the 1907 “Gentlemen’s Agreement” with Japan influenced Asian food in the U.S. – in a nutshell, Japanese immigrant workers were allowed to send home for their wives (who brought a knowledge of traditional cuisine and cooking techniques to the U.S. with them), whereas Chinese and Indian immigrants, mostly male laborers who didn’t know how to cook, weren’t extended the same privilege. Did you realize how important immigration would be before you started the book? Or is that something that emerged with your research? Yes and no. I knew the book was going to be immigrant-heavy, because that is our country. I’ve also worked for the last seven years at the Lower East Side Tenement museum, which has made me aware of and connected to immigration in a way I never was before – it underlies everything in American culture. So I knew that in writing the stories of these flavors, I was going to be writing American stories – and in the process, making an argument for a broader definition of what America is and who Americans are. But there were some big surprises, too, especially in the soy sauce and garlic chapters. I thought the soy sauce story was going to be all about Chinese immigration – you know, the origins of Chinese takeout and Chinese-American food. But even though soy sauce really came with Chinese immigrants, it was the Japanese who made soy sauce an American ingredient. Kikkoman opened up a soy sauce manufacturing plant here in 1970, and then specifically created American recipes that used soy sauce. That was the transition, even though we’d been using soy sauce to cook Chinese food, and even though we’d recently fought a war with Japan. We had always seen Japan as a world power, and so we treated Japanese culture differently in the U.S. When they ate soy sauce, we wanted to emulate it. Ditto with garlic. Garlic is the most popular flavor out of the eight, and I thought I could use it to represent the wave of mass migration at the turn of the 20th century and the way Italians were treated at the time, which was very poor. But despite the fact that thousands of Italians were cooking with garlic in this country from the late 1800s onward, garlic doesn’t become popular until Provencal cuisine becomes trendy with chefs like James Beard and Julia Child during and after the second World War. Provence is in the south of France and it borders Italy – they use a lot of garlic. We were willing to emulate French cuisine, but not Italian. We had these ideas of cultures we ostracize and cultures we emulate, and that was really clear to me in those chapters. Q: We still have those ideas, right? And it still shows in our food. Yeah, and we tend to have a sense of amnesia – a two-generation amnesia, where we will not remember or believe that the sort of xenophobia directed at Muslims right now was also directed at our grandparents or great-grandparents who were Catholic or Jewish or Chinese. Racism is on repeat because we keep refusing to acknowledge them in American history. Q: There’s a cycle you identify in the book: frequently, Americans accept and embrace immigrant foods long before they accept the immigrants, themselves. There’s this incredible anecdote in your book about Ranji Smile, whom you argue was America’s first celebrity chef – he was denied citizenship at a time when it was extremely difficult to become naturalized as an Indian or Southeast Asian. I wonder what that says about American culture: that we take the flavor but reject the person bringing it. To me, that speaks to something that is more culturally acceptable about food in America than language or even religion. Look at the flipside: Food also lasts longer than any other aspect of immigrant culture. If you’re talking about someone who’s third- or fourth-generation American, they probably don’t speak the same language of their ancestors, they definitely don’t wear the same clothes, and they might not even worship the same religion anymore. But they probably make foods connected to their ethnic heritage, especially around Thanksgiving and Christmas and Hanukkah. One one side, Americans retain the connection to their immigrant food more than anything else; on the other, Americans accept new food before we accept new immigrants. A hundred years ago, that meant targeting Judaism. Now we’re targeting Islam as un-American. But we’ll go to the grocery store and eat hummus, and we can go to the food truck and get falafel or kebab. And even the flavors, like rosewater and cardamom and zaatar, are becoming a bigger part of American cooking. Q: That’s actually your prediction as the book closes, right? If the patterns you observe around immigration and cuisine hold, then something from the Middle East might end up becoming the ninth essentially American flavor. Yes. Definitely. I love the interview I did for that chapter with my friend Stan, who was a Marine. I had already formed this theory that war propagates fast changes in food, both because our troops are going to live in other countries and developing tastes for their foods, and because there’s an influx of immigration from those countries afterward. Stan described having that exact experience in the Middle East. So war is terrible, but it has that big benefit: You’re living among people who are not like you, which creates empathy. And a love for spicy food. It seems pretty inevitable that because we have been engaged with the Middle East for the past three decades, Middle Eastern cuisine and flavors are going to become American. Within 100 years they might be indecipherable from American cuisine, much like hot dogs and hamburgers. Q: Let’s end on that question of an “American cuisine.” It’s sort of controversial. You have this line right in the last paragraph of the book: “I’ve gained an immense pride in American food — which I believe is the most complex and diverse cuisine on the planet.” But having looked at all this variety and diversity, is it fair to call American food one big cuisine? Or is it more a constellation? No, I don’t think it’s a constellation of unique cuisines. I think that’s what the book is arguing, too: that regardless of where you grew up, or where your family came from, everyone’s got vanilla in their kitchen cupboard. People live beside each other in this country who would not have lived beside each other back home. I live in Chinatown; even if we just talked about Chinese culture, you’ve got people from Hong Kong living next to people from the Fujian Province, next people who are Cantonese, next to people who are from Beijing — these are people who at home wouldn’t be interacting. But here, they’re seeing each other’s food, eating each other’s food, and influencing each other in that way. There is this sort of lateral exchange. And that’s just talking about Chinese culture. We have a whole mixing bowl of people and food and cuisines. That may happen in some ways in other parts of the world, but it doesn’t happen to the extreme extent it happens here. So I think it’s both worthy of the title of cuisine and worthy of more study in terms of it being its own cuisine, too.